1. Translator (Sinhalese) - (a) Bachelor’s degree in the Foreign Language concerned (SINHALESE) with English as a compulsory or elective subject at degree level from a recognized University. OR Bachelor’s degree with English as a compulsory or elective subject from a recognized University and (b) Diploma in foreign language concerned (SINHALESE) with interpretership or translation standard from a University or Institute recognized by Government of India. 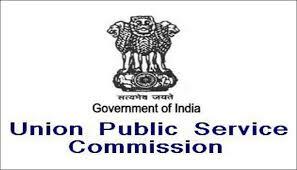 Note Qualifications are relaxable at the discretion of the Union Public Service Commission for reasons to be recorded in writing, in case of candidates otherwise well qualified. 2. Divisional Medical Officer - A. (i) A recognized Medical qualification included in the First or Second Schedule or Part II of the Third Schedule (other than licentiate qualifications) to the Indian Medical Council Act, 1956. Holders of Educational qualifications included in Part II of the Third Schedule should also fulfill the conditions stipulated in sub-section 13 (3) of the Indian Medical Council Act, 1956. ii) Post- Graduate Degree in the concerned specialty mentioned in schedule II or equivalent, i.e. MD (General)/MD (General Medicine)/MD (Medicine and Therapeutics)/MRCP/Speciality Board of Internal Medicine (USA). 1. Translator (Sinhalese) - Level 10 in the Pay Matrix as per 7th CPC.